HEdNI has submitted a response to the draft guidelines on SEN regulations. Our main concern is that children with a Statement should retain the advocacy and support of their parents, while gaining the support of the Education Authority, rather than losing any control to 'professionals' without expertise in that individual child's needs. To this end it is crucial that the expertise of the parent is given weight in Guidance and practice, and that the child's voice can therefore be heard. We welcome the changes made to the guidance on Co-operating to Safeguard Young People, and the way in which our concerns have clearly been heard and addressed. "Elective Home Education is the term used when a parent chooses to provide education for their child at home instead of enrolling them in school as provided for under Article 45 of the Education and Libraries (Northern Ireland) Order 1986. There is currently no legal requirement for parents to notify the Education Authority (EA) of their intention to home educate. However, in accordance with the Registration and Attendance of Pupils Regulations (Northern Ireland) 1974, the EA must be notified by a school when a child of compulsory school age who has been enrolled in a school has been deregistered to be Electively Home Educated. The EA is currently developing new procedures and arrangements to help parents who home educate and to encourage them to seek support. These procedures are being informed by a consultation exercise that took place during 2014. The procedures will be set within the existing legislative framework. As with children enrolled as pupils in a school, if any safeguarding concerns become evident, they must be referred to the appropriate authorities. " We believe that accurate and clear guidance within the law will help professionals in working with those young people who are in need of their assistance. The Draft Non-Statutory Guidance for Wales is currently under consultation, closing on July 3rd. We encourage home educators in Northern Ireland to respond - we were touched by the support and attention the Northern Irish Consultation has recieved from around the UK and Ireland, and we are now in a position to offer support in our turn. What happens in one region will affect all others, so it is important to promote good practice within the law across the UK. The file linked below is a final draft of HEdNI's response. We invite comment, input and proof-reading(! ), minor changes will probably be made before submission. "The Guidance is liable to create confusion and antagonise home educating families. It invites Local Authorities to make their own rules based on an unstated and unsupported assumption that home education is fundamentally a risk or problem. It confuses a situation which is very clearly outlined in legislation and guidance – the LA has no duty to monitor, their duty is reactive only and arises where an outside force triggers a concern. At that point they have sufficient power to act. "We ask ELBs to consider the nature of their relationships with families carefully throughout the policy. Engagement between Boards and home educating families is and should be based on trust and mutual respect. The development of policies which undermine these principles will set the Boards at odds with home educators from day one. As a consequence, the legality of the policies will inevitably be challenged in court, resulting in an instant breakdown of relationships at a practical level. The ELBs appear to be seeking covertly to avoid pursuing primary legislation and a national consultation by running local consultations without the rigour and review of an established process." Read full text at NI4Kids - New Rules for Home School? 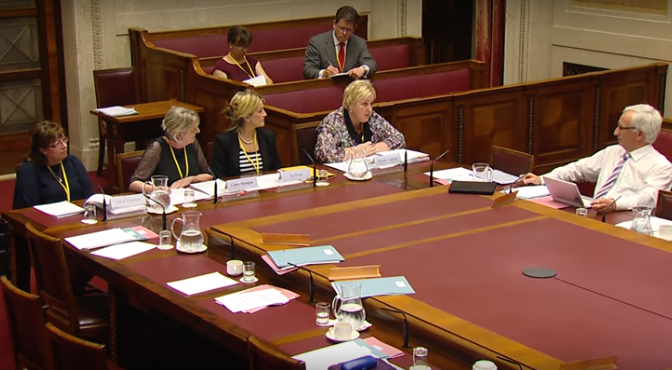 "Mervyn Storey Chairperson of the Assembly Education Committee and Education spokesperson for the DUP has called on the Education Minister to set aside the current proposals on home schooling. He said: “The current proposals upon which the five boards are consulting appear to have come into the public domain without any proper process. The Minister and his Department are denying that they have had any hand in developing these and that being so he should act to terminate the current flawed process which has caused so much concern and anxiety amongst those parents who are exercising their legal right to educate their children at home. “My party supports the principle of parental choice and we will ensure that there will be no change to the current practice which in any way diminishes parents’ rights as laid down in legislation. I have asked that the Education Committee receives a briefing on the issue as a matter of urgency to find out how this current consultation process came about.”"
"If implemented, it would violate international law and hte fundamental human rights of the parents and their children. The proposed policy grants unreasonable access into the home, violating hte right of privacy guaranteed in the Convention and other European treaties. The policy interferes with families by permitting unnecessary and invasive questioning of children by government agents. The policy would implement an lengthy and bureacratic process of approval and curriculum review. The policy would implement a tracking system database program that would also violate the fundamental right to privacy of families and children. The proposed annual monitoring is unnecessarily invasive." An article by Edward Underwood, home educator. Where did this come from? This was the question which parents asked the Department of Education (DE) and the Education and Library Boards (ELBs) when the Draft Elective Home Education Policy was put out for consultation. The response to this question varied from a mysterious lawsuit, where an ELB allegedly had to pay large damages to a dissatisfied Home Educated student, to a need for the boards to fulfill their statutory duty. As the draft policy was examined it became clear that it represented a huge expansion of power for the ELBs and DE but the reason for such a radical change continued to be elusive. 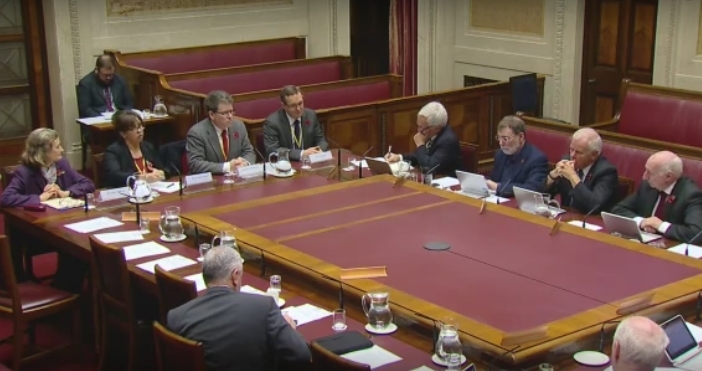 Then MLAs and MPs began to ask the DE and the ELBs why this policy was needed and many questions were asked of the Minister of Education for Northern Ireland in the Assembly. His responses have often been unhelpful in understanding the reason for the draft policy. However, the Minister’s latest comments assert the DE has a social duty of care to all children in Home Education, implying that homes are not a safe or efficient place for learning unless validated by educational authorities. On the same day that the Minister was making these claims, a document, Appendix I of Minutes 24 Oct 2013, came to light, due to an FOI request, that presents a very different reality than the one projected by the Minister of Education in this dialogue in the Assembly of Northern Ireland just two days ago.